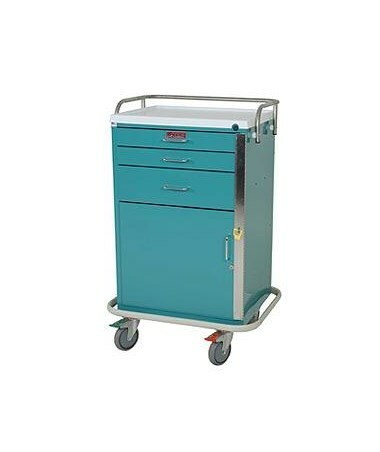 Harloff's GP Line Three Drawer Emergency Cart is a versatile, sturdy general purpose cart with a narrow design and uni-body steel construction. The durable, hard-baked powder coat finish comes in 16 colors. One of the main features of this cart is the 18" storage compartment. It has an adjustable shelf and locking door. The other drawers are 3" (2) and 6" (1), with internal dimensions of 20" W x 17.25" D. They operate on ball-bearing, full extension slides for smooth, reliable functionality. A stainless steel breakaway lock bar keeps the cart secure. This latex-free cart is delivered fully assembled for convenience and immediate usage. 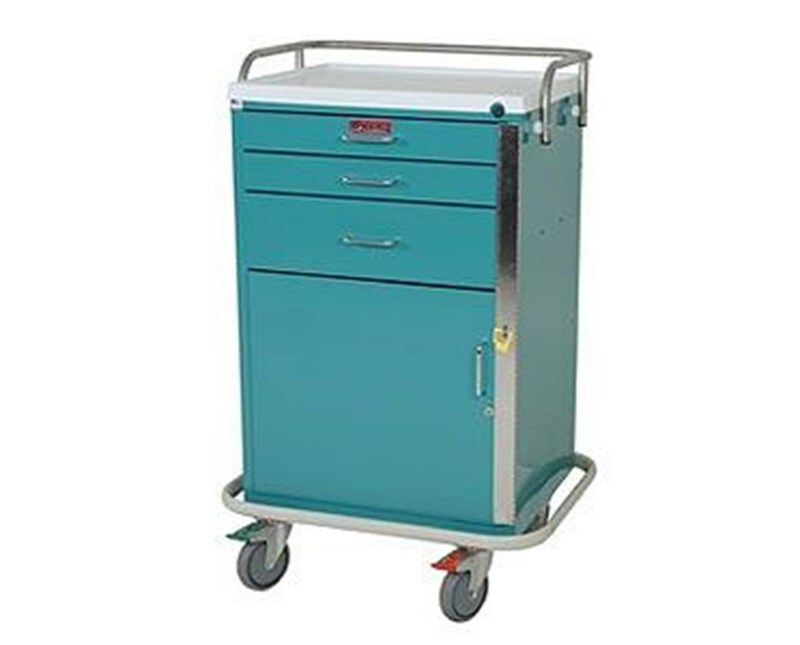 We offer Harloff's GP Line Three Drawer Emergency Cart with either Standard or Specialty packages, and in 16 colors (View Chart). Select from the drop down menu above and order online direct by clicking "add to cart!" Drawer configuration: (2) 3", (1) 6", (1) 18"